June Degustabox … BBQ Time! June’s Degustabox was a corker! One of the things I particularly love about Degustabox is the way you get to try new food or drink items you might not ordinarily buy or even be aware of. This month’s box was no exception, and the items it introduced me to were just wonderful. The theme for this box was BBQ, so most of these products could be used in some way to enhance a BBQ. 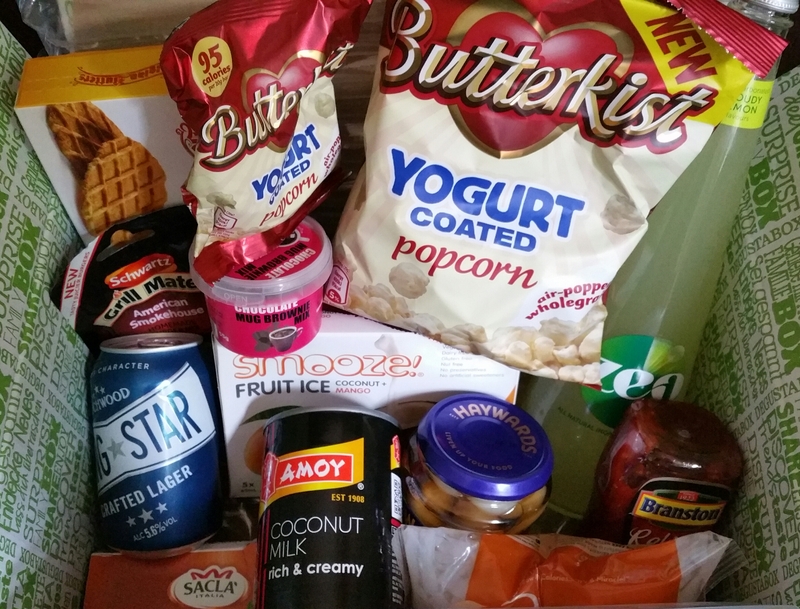 Just in case you have no idea what Degustabox is (which is highly unlikely if you follow my blog), it is a fantastic food subscription box in which you get sent between 10 and 15 food and drink items, many of which will be new products on the market. You can’t choose what items you will receive so it’s a wonderful surprise each month. You can though choose whether you are happy to receive alcoholic items or prefer all non-alcoholic. It costs just £12.99 a month with delivery via DPD included in the price. The items you receive though are worth around double that price so it is excellent value for money. Degustabox have been incredibly generous this month and have given me a huge discount code to share with you. Keep reading to find out more about that! 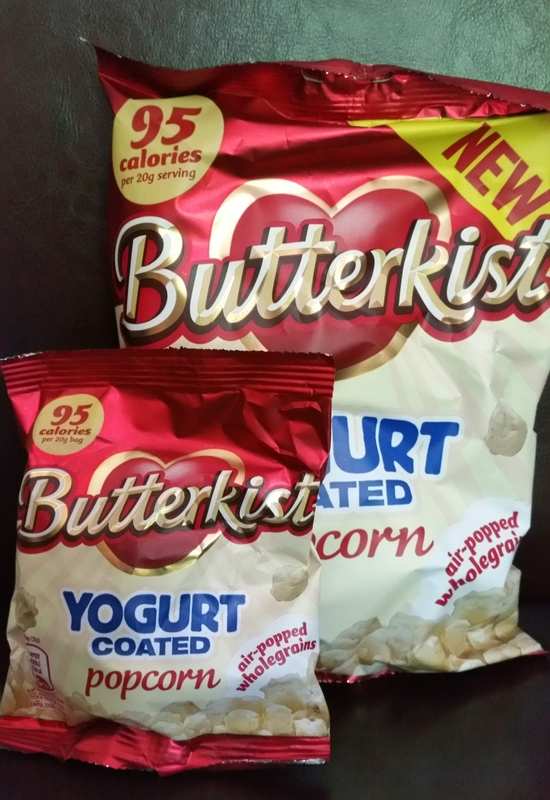 The Product of the Month (according to Degustabox) was this BUTTERKIST YOGURT COATED POPCORN. I received a family sized sharing pack and an individual serving pack. We all love popcorn in this house so these were opened immediately. They taste so good. The popcorn is softer than usual popcorn and there were no unpopped kernels which was great. The yoghurt coating is delicious. This is a great snack for people on calorie-controlled diets as one serving only has 95 calories! I will definitely be buying these again. I love to include popcorn in desserts, and this would be amazing served as a cheesecake topping or even used in the base. Yum! The RRP for the sharing pack is £1.49. You can also buy a multipack of 6 individual serving packs for £1.69. My personal product of the month has to be SMOOZE! FRUIT ICE. Love, love, love these!!! They are freeze-at-home fruit ices made from coconut milk and fruit juice and puree. I think I can safely say these were my favourite item from any Degustabox I have ever received, and I’m so glad to have been introduced to them. I received the Coconut and Mango variety, which then led me to rush to Sainsbury’s to buy the Simply Coconut variety too. You can also buy Coconut and Pineapple, and Coconut and Pink Guava. All 3 of us absolutely adore these ices. 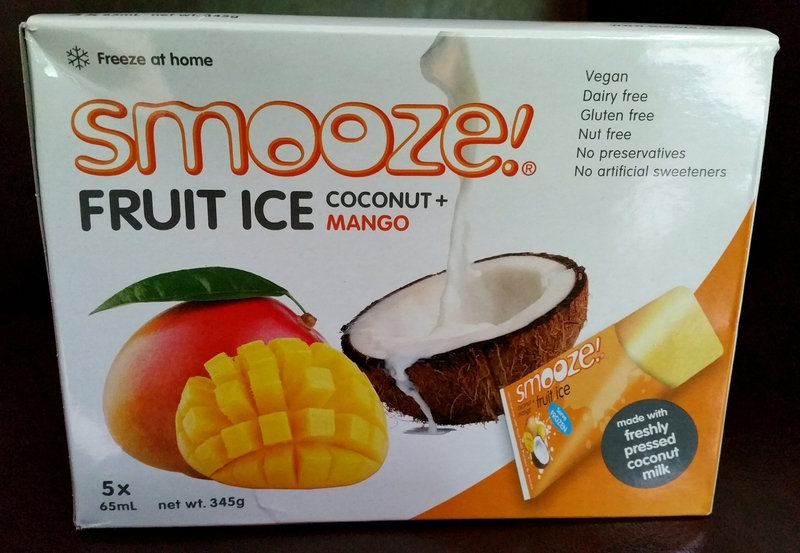 There are only 67 calories in one fruit ice, and they are free from dairy, gluten, soy, nuts, preservatives, and artificial flavourings, sweeteners and colourings. Perfectly suited for vegans and anyone with food allergies. They are incredibly creamy tasting and refreshing to eat, and there are no words to describe how delicious they are, especially the Simply Coconut. I will have a constant supply of these in my house from now on. They are £2.50 for a box of 5. 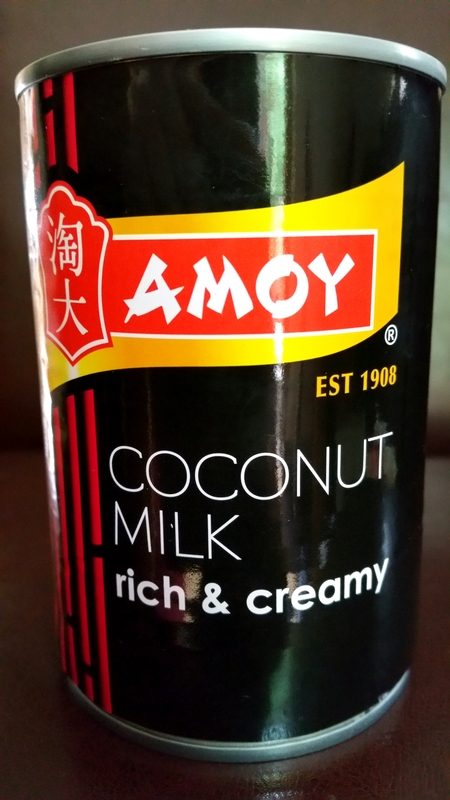 Continuing the coconut items, I had a can of AMOY COCONUT MILK. I love coconut milk. It is such a versatile product and can be used in sweet and savoury dishes. This particular one is sourced from plantations in Thailand and is made from fresh, ripe coconuts. I used mine to make THIS PANNA COTTA and it was absolutely scrumptious. The coconut milk tastes beautifully sweet and creamy with that delicious coconut taste. The RRP of this is £1.99. 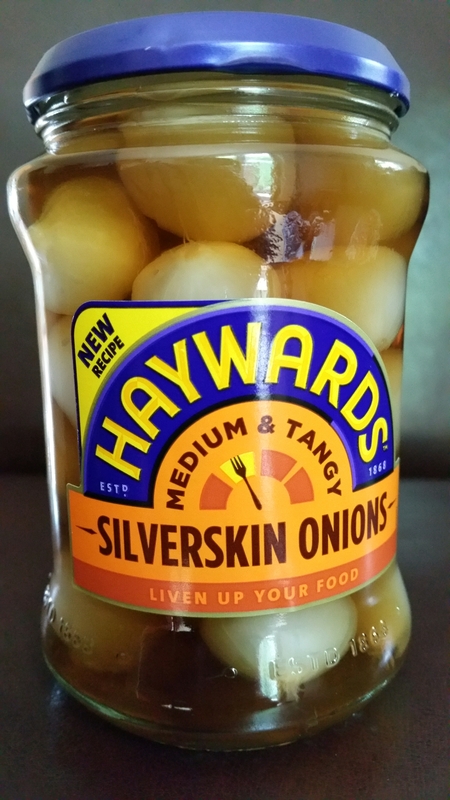 HAYWARDS MEDIUM AND TANGY SILVERSKIN ONIONS – I love pickled onions, particularly with a Ploughman’s lunch. They go perfectly with BBQ salads and cheese boards too, and I always have a jar in for Boxing Day tea! These ones were perfect. I’ve had some before that make your eyes water, they are so tangy. These have the perfect balance. They are tangy but still a bit sweet, and nice and crispy… just how I like them! The RRP for this jar is £1.89. 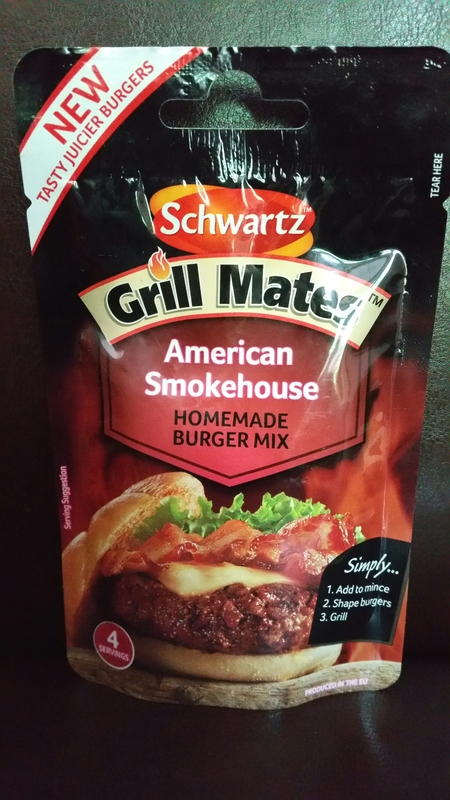 No BBQ is complete without a nice juicy burger, so this SCHWARTZ GRILL MATES American Smokehouse Burger Mix is just perfect! You can also buy a Classic Steakhouse variety of this. I was hoping to try this with a BBQ but sadly, rubbish weather has meant the BBQ is still safely stored away. I did the next best thing and cooked burgers on my George Foreman grill instead. This mix is so easy to use. You just add it to mince, mix it together, shape it into burgers and grill! The flavour was amazing. The burgers were extra juicy. We went to Florida a few months ago and ate a lot of barbecue flavoured food. This mix actually reminded us of food we ate in one of the steakhouses there. Gorgeous! The RRP is £1.49, and the mix makes 4-6 burgers. 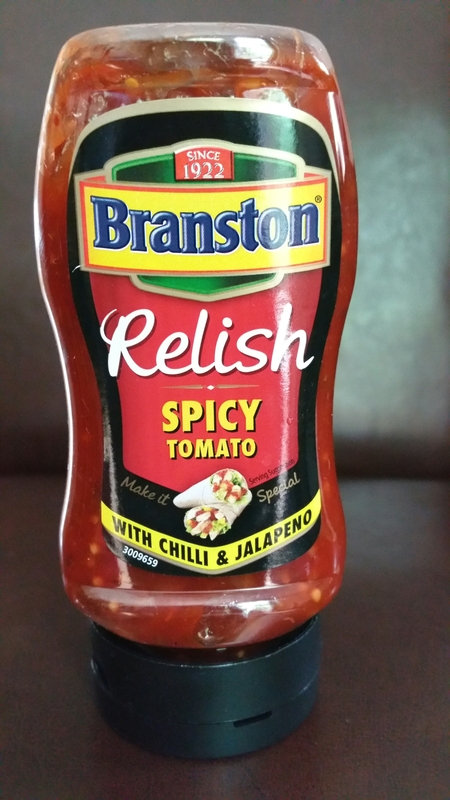 A perfect addition to any burger or hot dog is BRANSTON SPICY TOMATO RELISH. This one has chilli and jalapeno in it for an extra kick. My partner loves all things spicy so he really loved this. We also used it as a dip for tortilla chips and Pringles crisps. It is spicy (obviously) but not overpowering and you do still have your tastebuds intact after eating it. You could also eat this as a condiment with a main meal. Another verstaile product! The RRP is £1.65. 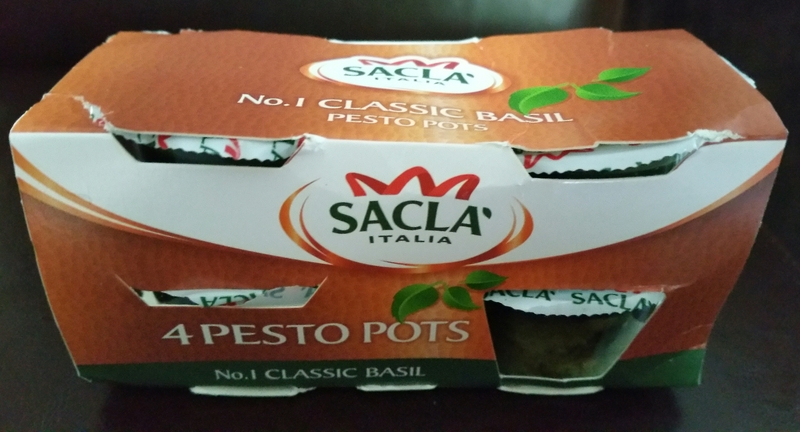 Yet another versatile product this month, SACLA CLASSIC BASIL PESTO POTS. I received a pack of 4 single-serve pots, perfect for adding to any number of dishes! I mixed some up with couscous and added chicken and vegetables for a yummy lunch, and I also added some to a tomato soup! Tomato and basil are fantastic together, and these pots are just the right size so you don’t end up throwing leftover bits away. They are made with fresh Italian basil, Grana Padano cheese, Pecorino Romano cheese, and pine nuts. Pesto is great with pasta too, or mixed with cream cheese to use as a dip. The RRP is £2.79 for a pack of 4 pots. DESTROOPER-OLIVIER BELGIAN BUTTERS WAFFLE CRISPS – I had never seen these before but will look out for them from now on. 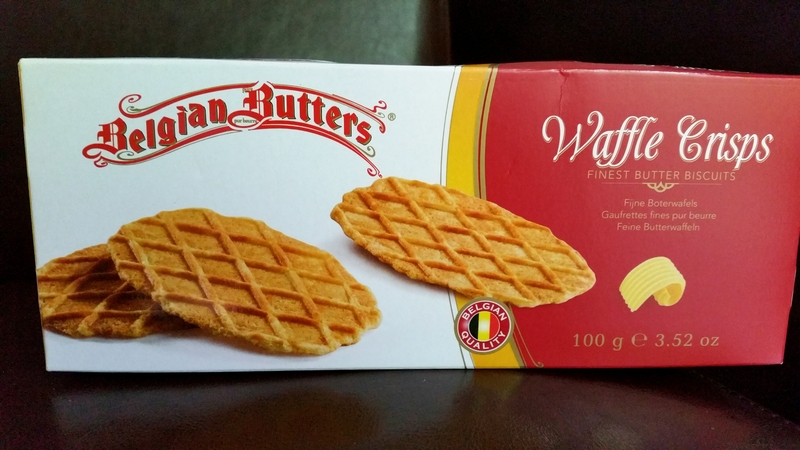 They are delicious thin crispy waffle-shaped biscuits, with an amazing buttery taste. They are great with tea and coffee, but we loved them most of all with ice cream! Make any flavour sundae you fancy, and add one of these to the top. We put some ice cream between 2 of these to make an ice cream sandwich too. Really really good. The RRP is £1.10. 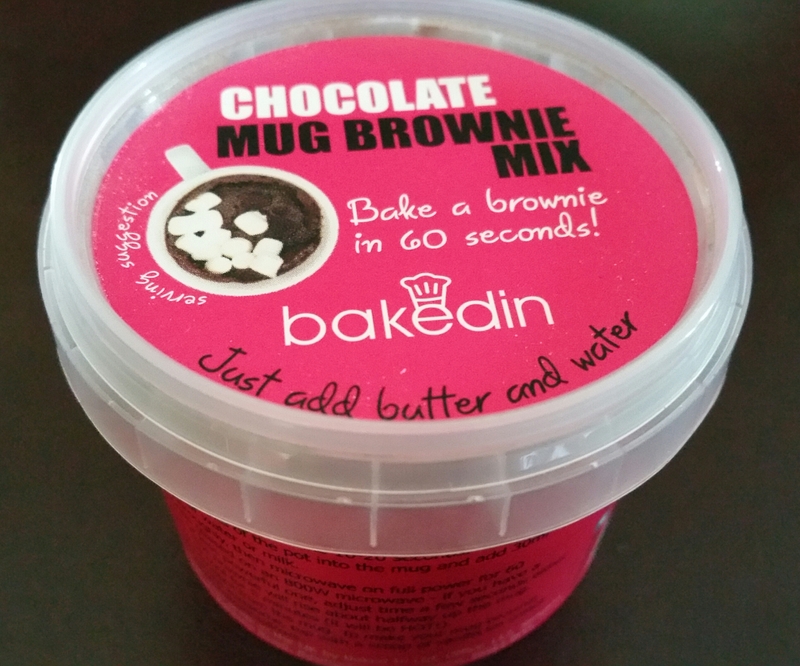 Anyone who knows me will be cringing for me at the sight of this next product – BAKEDIN CHOCOLATE MUG BROWNIE MIX. I hate packet mixes for baking with a passion and never touch them normally. However I thought I would have to try this as it came in the box. Well, I can now say I hate MOST packet mixes. This one was amazing! You simply melt a bit of butter in a mug, add the mix and some milk, then microwave for 60 seconds. The resulting brownie was everything a brownie should be! Gooey, rich, very chocolatey, just perfect! It tasted just like it had come out of the oven after being lovingly prepared and baked for ages! Degustabox also included an invitation to try the BakedIn baking subscription club at a discount price, which I did. You can find my review of that HERE. Love this! The RRP is £1.50. If you receive the non-alcoholic box, you would have received MIRACLE NOODLES in this box. These are soya free, gluten free, cholesterol free, and have only 5 calories! 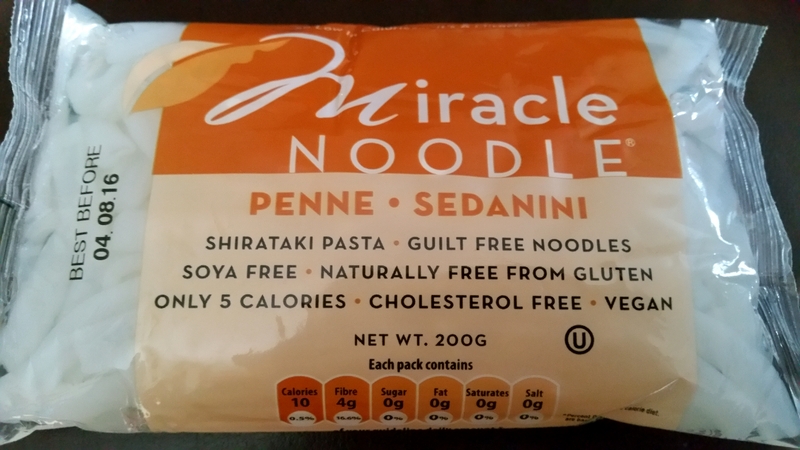 Guilt free noodles! They are perfect for vegans. These were thick noodles, ideal for lots of different dishes. The only thing I don’t like about them is the smell when you open the bag. The water they are in smells terrible to be honest, but when you drain that away and you rinse the noodles well under cold running water, the smell completely goes and the noodles taste amazing. I had similar noodles in a previous box and made THIS CHICKEN NOODLE SOUP using them. You could easily use these noodles instead. The RRP is £2.49. 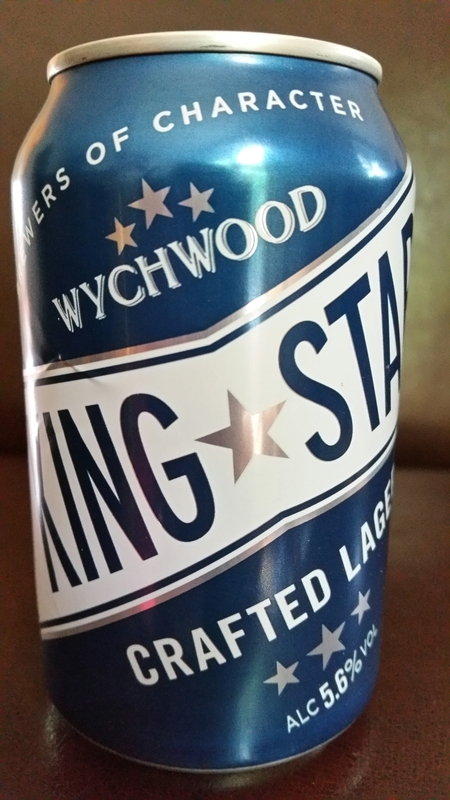 If you received the alcoholic box (that sounds bad but you know what I mean), you will have received this WYCHWOOD KING STAR CRAFTED LAGER. My partner loves a glass of cold lager after a hard day’s work so he drank this. He said it was one of the best lagers he has ever had! It was refreshing, with a lovely strong flavour. He is looking out for this again in the shops. The RRP is £1.70. The final product this month was ZEO CLOUDY LEMON. This is a low calorie drink, with only 28 calories per 250ml serving. It is made with 98% spring water, blended with lemon flesh and oils from the skin, and a touch of sugar for sweetness. It is perfect for a hot day, straight from the fridge. It has a lovely balance of bitterness from the lemons and sweetness from the sugar. It was too sour for my son but my partner and I loved it. Very refreshing! The RRP is £2.75. As you can see, you really get a lot more than £12.99’s worth of products! As if that price wasn’t incredible enough though, Degustabox are now giving you the chance to try your first box for just £5.99, with delivery included! That’s a saving of £7!! !